My Sister's Grave By Robert Dugoni - Kindle Edition Just $1.99! You are here: Home / Great Deals / Amazon Deals / My Sister’s Grave By Robert Dugoni – Kindle Edition Just $1.99! 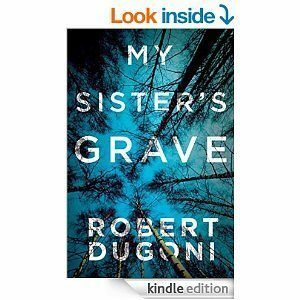 My Sister’s Grave By Robert Dugoni – Kindle Edition Just $1.99! What does a murder do to a family, to an entire small town? Tracy Crosswhite has spent twenty years questioning the facts surrounding her sister Sarah’s disappearance and the murder trial that followed. Right now, you can get My Sister’s Grave By Robert Dugoni – Kindle Edition For Just $1.99!